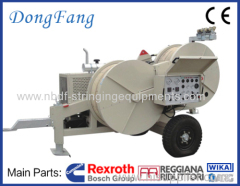 Overhead Transmission Line Tensioners are used for overhead line tension stringing operation. 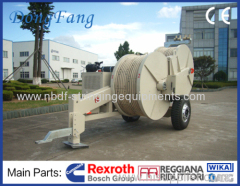 All the tensioners are equipped with diesel engine system, hydraulic pump, hydraulic motors. The bull wheels of Tensioner can be rotate in both directions. We have designed hydraulic tensioners for single, two bundled and four bundled conductors stringing. The diameter of conductor is up to 45mm Maximum. 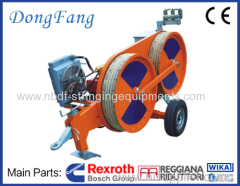 3 Ton Hydraulic Cable Tensioner is used for single conductor or OPGW stringing on overhead transmisson line. It is equipped with diesel engine. 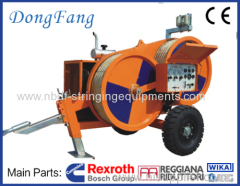 7 Ton Hydraulic Tensioner is used for two or single conductors stringing on 220 KV transmisson line. It is equipped with Cummins diesel engine. 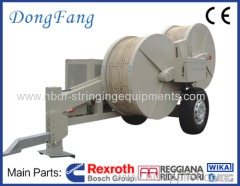 8 Ton Hydraulic Tensioner is used for two or single conductors stringing on 275 KV transmisson line. It is equipped with Deutz diesel engine. 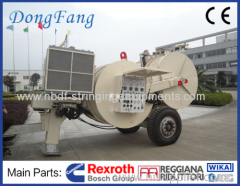 10 Ton Hydraulic Tensioner is used for two or single conductors stringing on 330 KV transmisson line. It is equipped with Deutz diesel engine. 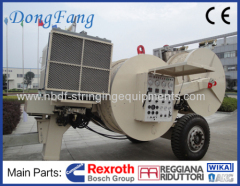 14 Ton Hydraulic Tensioner is used for two conductors stringing on 800 or 1000 KV transmisson line. It is equipped with Deutz diesel engine. 16 Ton Hydraulic Tensioner is used for four or two conductors stringing on 500 KV transmisson line. It is equipped with Cummins diesel engine. 20 Ton Hydraulic Tensioner is used for four or two conductors stringing on 500 KV transmisson line. It is equipped with Cummins diesel engine. 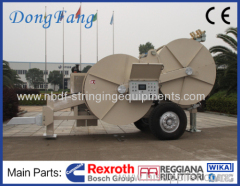 Group of Overhead Conductor Tensioner has been presented above, want more	Overhead Conductor Tensioner and Overhead Transmission Line Tensioner, Please Contact Us.